Recorded in just one month, and renewing their blossoming co-producing relationship with Alan Moulder (Foals, The Killers), What’s It Like Over There? is an album that’s creatively unshackled and refuses to stay still. It fuses the visceral thrill of rock music with a slick pop sound, its themes of modern ennui, emotional fragility and all the inside-outs and upside-downs of relationships making it a record that could only have been made now. 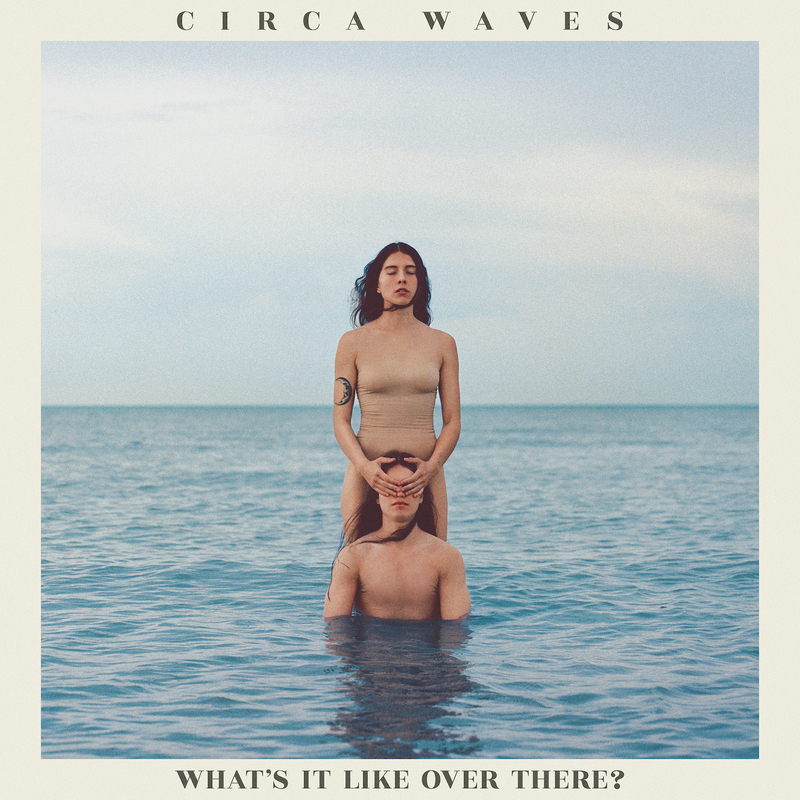 Whilst the anthemic ‘Movies’ will appeal to the band’s long-standing fan base, the likes of ‘Sorry I’m Yours’ and ‘Be Somebody Good’ see Circa Waves experiment with a new progressive sound that will surprise and delight in equal measure. ‘Me Myself & Hollywood’ touches on the band’s love of R&B, whilst ‘Times Won’t Change Me’ is a piano-led, Beatles-inspired future hit. What’s It Like Over There? always manages to sidestep genres and easy pigeonholing, but what remains constant is Circa Waves’ ability to create the kind of infectious music that is propelling them towards the top tier of British music. FORMAT: Limited edition light blue vinyl. Includes MP3 Download Code. 1 What’s It Like Over There?